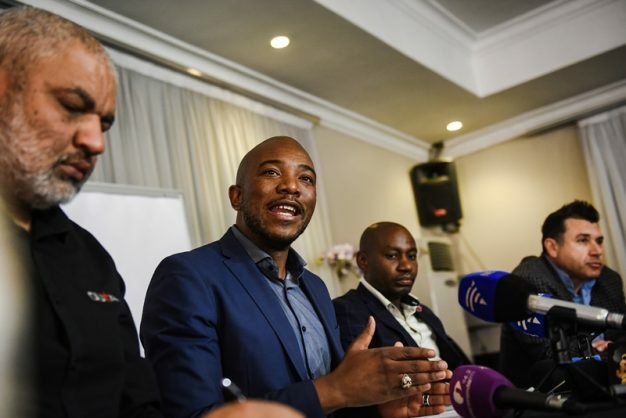 Maimane has said the ruling party is playing Russian roulette with failed policies that suggest a change of president has brought with it little improvement. In a press statement following President Cyril Ramaphosa’s late-night announcement on the ANC’s decision to support changing the constitution to make land expropriation without compensation easier and “more explicit”, the DA said the ANC was being “reckless and irresponsible”. The party’s leader Mmusi Maimane said: “The Democratic Alliance (DA) notes tonight’s reckless and irresponsible announcement by President Cyril Ramaphosa that the ANC has resolved to expropriate land without compensation and will amend the Constitution to give effect to such. Ramaphosa had earlier said in a televised address that it had become “patently clear” that “the people” wanted expropriation without compensation to become “more explicit” in the constitution, to go beyond the current constitutional provisions for expropriation in the public interest. He said the party would continue to follow parliamentary processes to change the law with the ultimate aim of increasing agricultural production, people’s access to land, and just and equitable redistribution, in a manner that would boost the economy. He had earlier said that this was proof of democracy in action and was the ultimate effect of “what we have fought for”. Ramaphosa said ANC secretary-general Ace Magashule would be providing further clarity and detail to media on Wednesday on what had been resolved at the party’s two-day lekgotla. The DA, however countered that, “Successful land reform doesn’t require amending the Constitution. It requires government action. It requires eradicating corruption. And it requires economic certainty. The ANC – and President Ramaphosa – have failed in this and have failed the people of South Africa. “In countries where such reckless and populist policies have been implemented, their economies have suffered, and unemployment and poverty has skyrocketed. It appears the ANC is desperate to follow suit, and see our economy face another credit rating downgrade. “We will oppose this move in Parliament with all our might. We support land reform that makes South Africans owners and participants in a growing, thriving economy. We will never support a land policy that takes economic power away from South Africans and hands it to a corrupt government. “Our demand is for change that accelerates land reform, by ensuring more South Africans are owners of property as individuals. This is how the nation will prosper and how jobs will be created. Ramaphosa also discussed a “stimulus package” in the wake of news that unemployment has risen, with particularly the manufacturing sector shedding alarming numbers of jobs.